A Nest Full of Squishers: 31 Days to a Family Closet: What is a Family Closet? 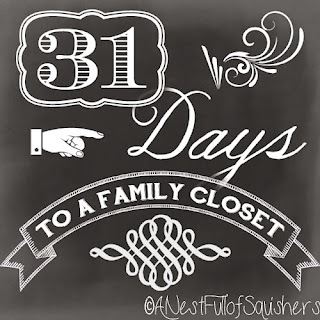 31 Days to a Family Closet: What is a Family Closet? A family closet is one location to house your family's wardrobe. We are fortunate to have found the best solution for our family in our home to minimize the laundry for seven people. Back when we had just grown to a family of five I knew something needed to change. 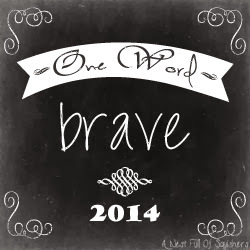 Between the diaper changes, Postpartum Depression and starting a co-op I prayed and planned. ***This is key: I prayed. *** I could never have imagined this on my own. I know committing this desire to prayer and letting God lead my research and planning is why our family closet has worked so well. 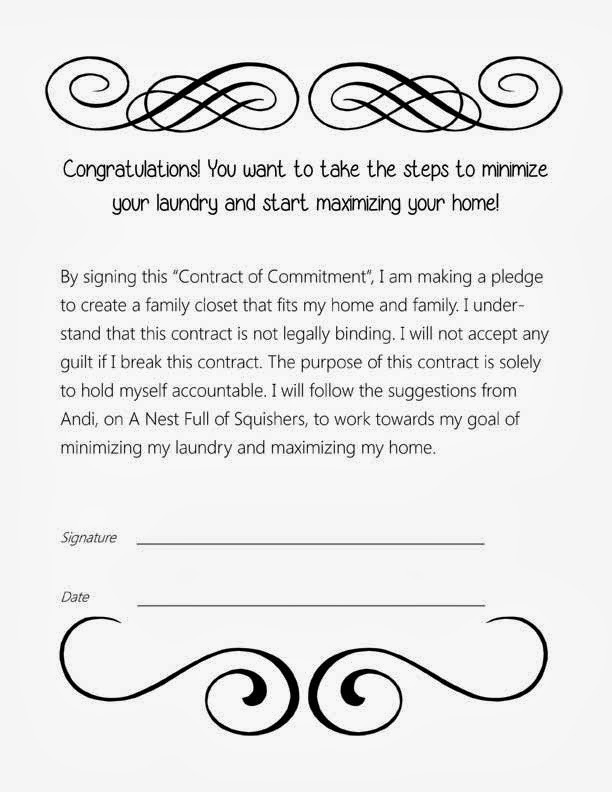 If this is something you have a strong desire to tackle for your family then print this contract and commit yourself to seeing this through. If you are anything like me you need accountability. 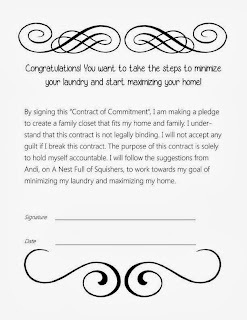 If signing this paper isn't enough for you ask your husband or a friend to hold you to accountable. Or email me a copy of your contract and I will be your accountability partner! Are you ready to start? What is the ideal location in your home for a family closet? Right now, grab a pen and your contact. Go sit in that place. Read the contract, pray over your space, and sign your name! Join me over this month and we can brainstorm together to find the purpose of your family closet. Let God unfold this dream before you and have a fabulous day! This post is part of the 31 Days to a Family Closet series. 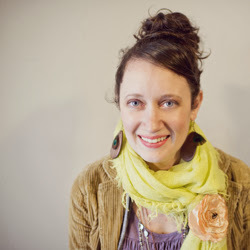 If you have questions about your blog leave a comment and I will see if I can help you!